Candida is from Hildegard Gunzel’s 2016 resin collection. She is 38.5 inches standing and only 80 have been made worldwide. 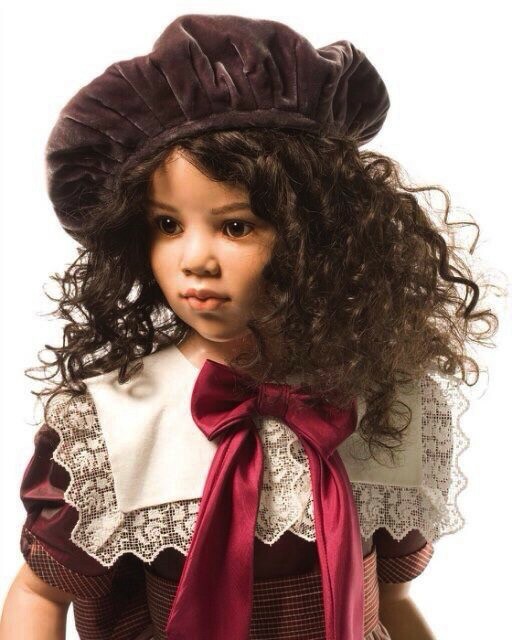 She fetaures a dark brown, curly human hair wig with cap in beret-style and handmade brown glass eyes. Candida is dressed in a two colour lavish silk dress with big cotton collar and silk bow. Silk sash at the waist and leather shoes.